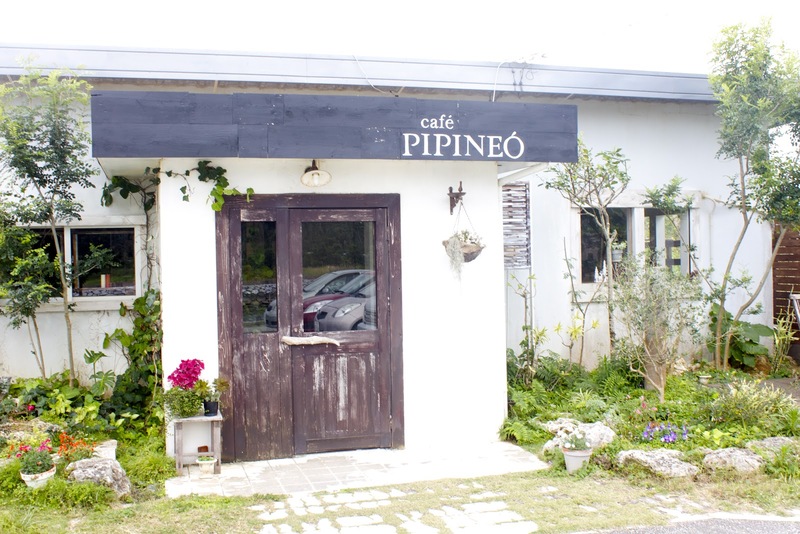 Today, Mark and I ventured out for lunch at a new place, Cafe Pipineo. I spotted it yesterday on a random drive and it looked really good. This was mostly because they had homemade cinnamon rolls on display and delicious looking muffins! Either way, it was delightful and totally blog worthy. When I went in yesterday, the waitress couldn't find their menu in English. However, they had one today so it was quick and easy to order. The choices were simple (1) Squid Ink Curry or (2) Pork Belly on a bed of lettuce with a wasabi sauce. I ordered (2) and Mark ordered (1). Bam, done! Mark's "combo" came with a drink and dessert, I chose just the drink. Total our meal cost 2300 yen. I really liked mine. 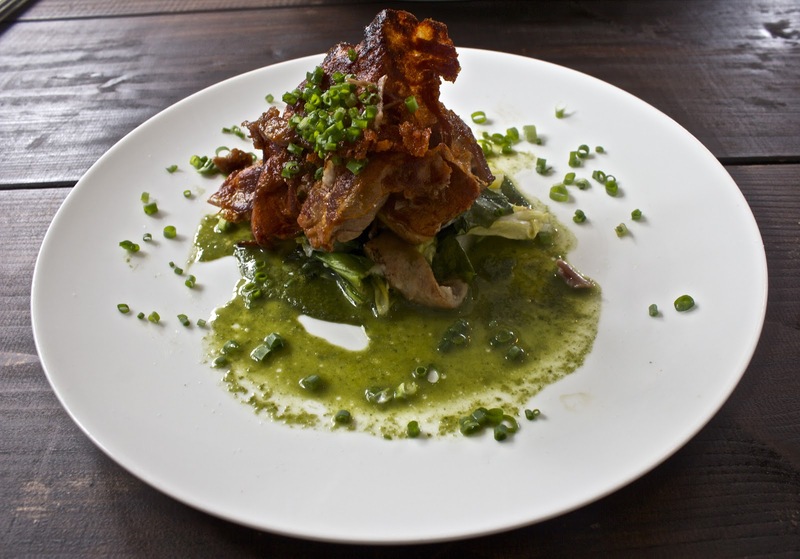 It had a piece of crispy bacon on top. Mark loved his curry, but I thought it was a little fishy tasting. Good, but not my favorite thing! We also got a soup for a starter. I think it was squash, but it wasn't on the menu so I can't be sure. After the delicious meal, Mark got dessert. I may or may not have snuck a few bites and oh boy!! It was seriously the most delicious cinnamon roll EVER! Homemade with homemade icing. If anything, go to this place for some coffee and a roll. I promise you won't regret it. Lastly, there is a small massage parlor and little store (Zakka Krabat) that are part of the restaurant. The massage parlor is called Relaxing Room and, from what I could tell, their prices are reasonable. The shop is super cute and everyone was very friendly. Again, if nothing else, go for the cinnamon rolls... and maybe a 30 minute massage! i want you to post the pics from house party home house or whatever! :) the exterior of this place reminds me of it! 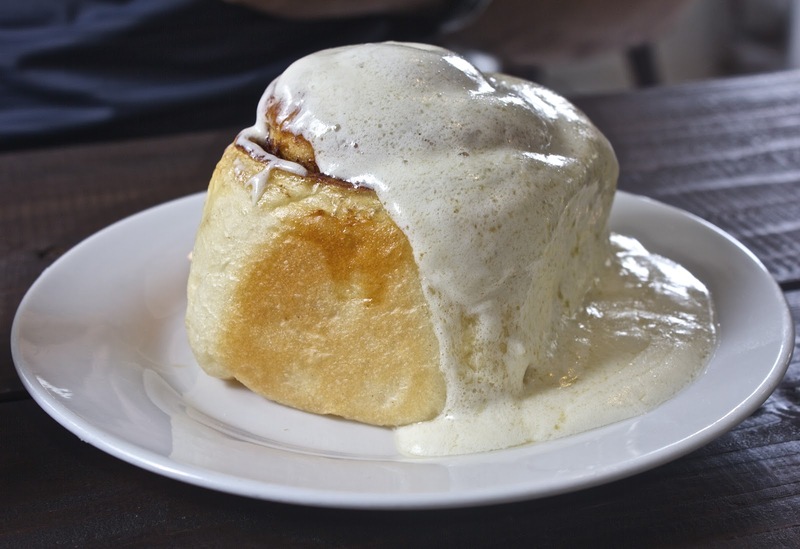 Oh my that cinnamon roll! Drooool!